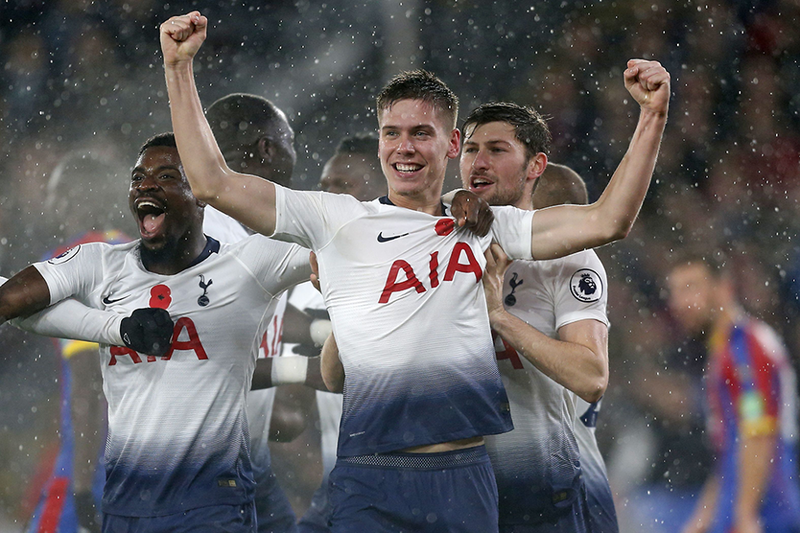 Juan Foyth scored his first Premier League goal to earn Tottenham Hotspur a 1-0 win at Crystal Palace. The home side came close on 17 minutes when former Spurs midfielder Andros Townsend rifled a low effort into the side-netting. Spurs threatened when a cross by Serge Aurier, an early substitute for Kieran Trippier, was headed over by Lucas Moura. Palace might have taken the lead on 52 minutes but James Tomkins's uncontested header flew wide of the post. But it was Spurs who broke the deadlock in the 66th minute. Foyth headed into the net when he reacted first to a deflected header by Harry Kane. In time added on for an injury to Erik Lamela, Hugo Lloris made an excellent save to block Alexander Sorloth's powerful drive and secure all three points. Spurs are in fourth place, level on 27 points with Liverpool, who host Fulham on Sunday. Crystal Palace drop to 16th with eight points.